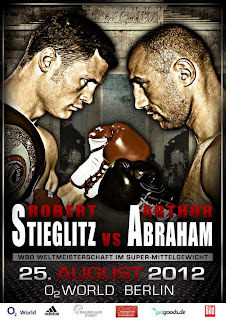 In a few hours time, former Middleweight World Champion, Arthur Abraham will challenge current WBO Super Middleweight World Champion, Robert Stieglitz. Although Abraham has had some high profile fights in the Super Middleweight division, he is yet to win a title. 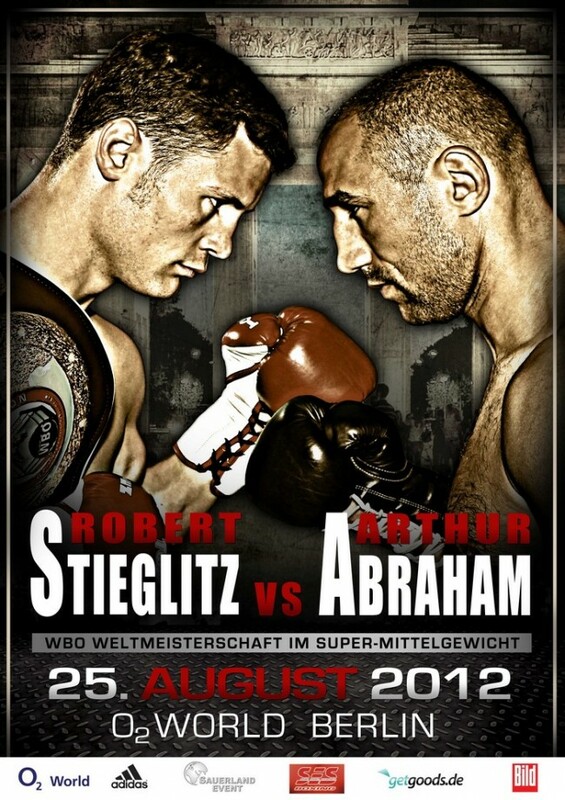 This fight against Stieglitz appears to be his last chance of becoming a Super Middleweight World Champion. Stieglitz is viewed as the weakest belt holder at 168IBS, most of you see Stieglitz as the only champion at Super Middleweight who Abraham can beat. And I agree with you, but I don't think it will be easy for Abraham. I don't see him winning on points. He is a very slow starter, he doesn't throw many punches and Stieglitz is a volume puncher, so I see Stieglitz winning most of the early and middle rounds due to activity. But after watching Stieglitz's title defence against Henry Weber, I noticed that at times, Stieglitz was easy to hit with combinations, you can get away with that against Henry Weber, but against a big puncher like Arthur Abraham, you will get stopped. So I think Abraham will win by a late stoppage after being behind on points. Stieglitz has also been stopped twice before. But if the fight does go the full twelve rounds, Stieglitz will retain his title in my opinion. The fight card will start at 19:30 tonight on BoxNation, if your planning on watching, enjoy the fight!